We visited this free garden in Palo Alto, California when we read it was added to the American Camellia Society Camellia Trail. We were not disappointed. It is the former home and garden of Elizabeth Gamble, the granddaughter of the founder of Proctor & Gamble. It was given to the city of Palo Alto, which in turn leases it to the nonprofit. The nonprofit raises funds to maintain the house and property. The Edwardian-style house is set on two and a half acres. The beautifully landscaped garden includes roses, herbs, wisteria, a demonstration bed, a cutting garden, and historic camellias. 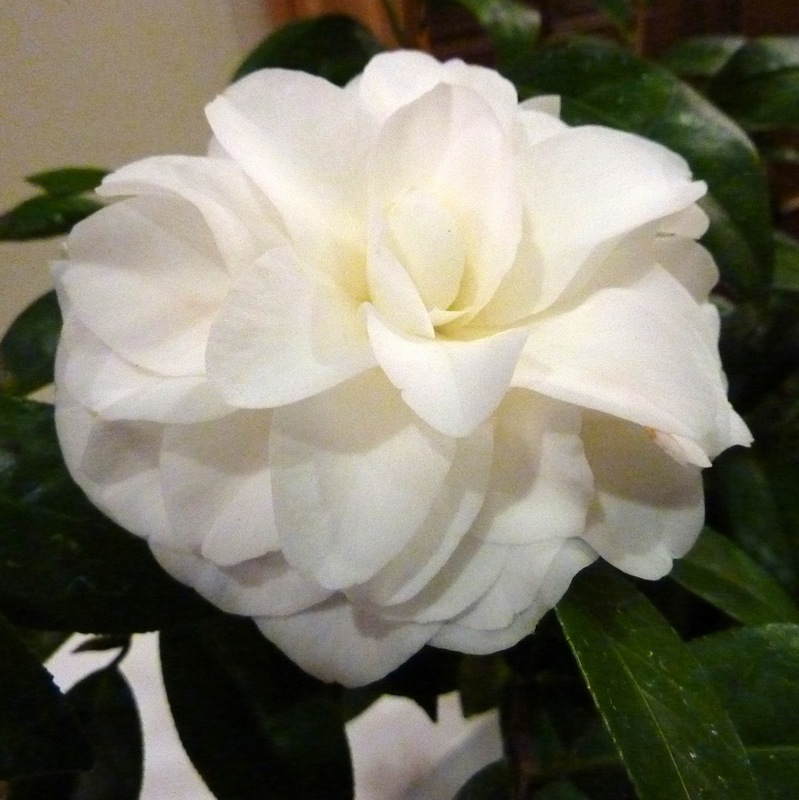 Elizabeth Gamble purchased many of the camellias and azaleas from Toichi Domoto, a pioneer camellia grower and breeder. 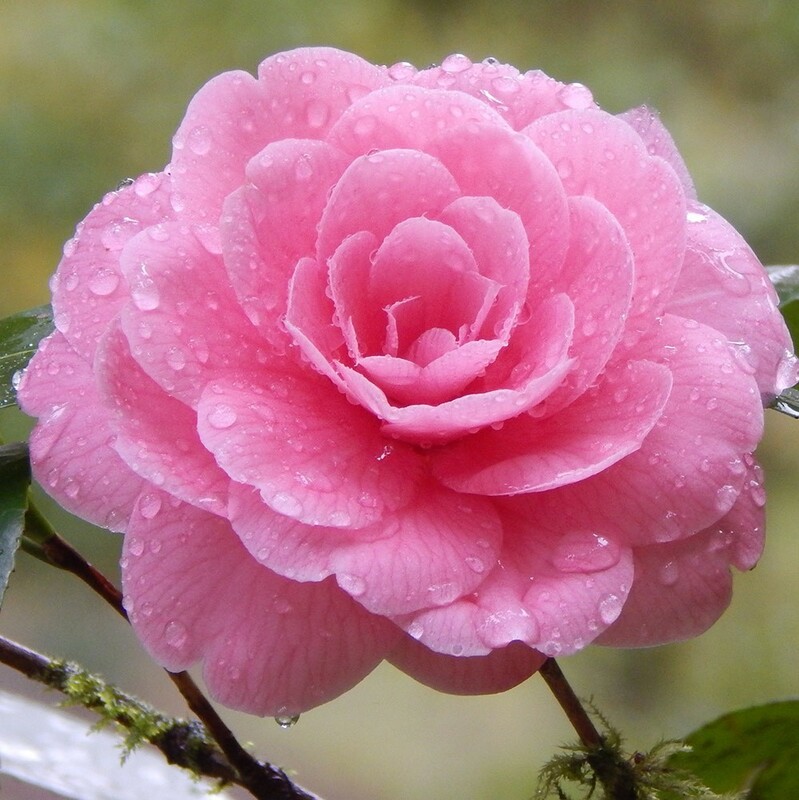 He introduced camellias from Japan to the United States to his nursery in Haywood, California. The most popular and widely known of the cultivars he brought to America was ‘Pink Perfection’, which was imported in the 1930s. In Japan it was known as ‘Usu-Otome’. The flower is a small perfectly-formed pink formal double, which undoubtedly caught Elizabeth Gamble’s eye. Garden records document that she purchase ‘Kumasak’ in 1939. This C. japonica is one of the oldest camellias that has continued to be propagated. It dates to 1695 in Japan and thrives in the Gamble Garden today. The medium rose form to peony form flower is deep rose pink. 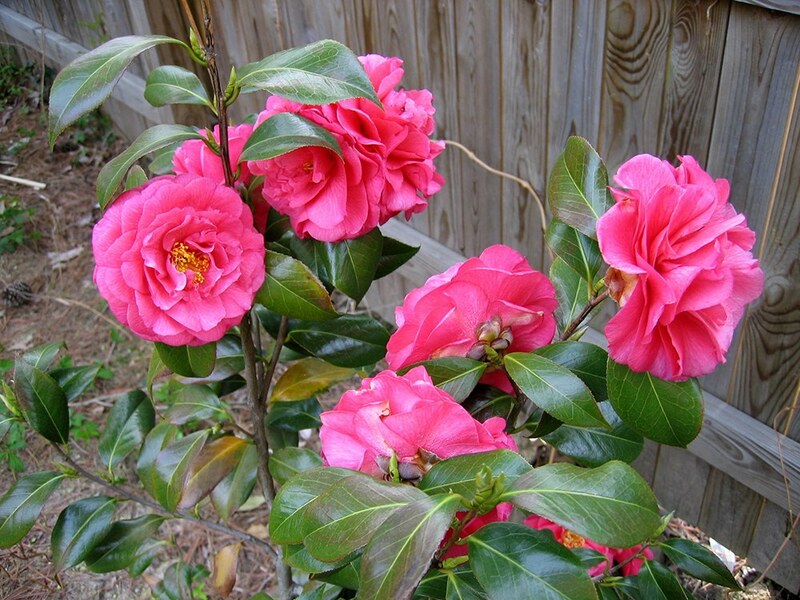 In addition, two more heritage camellia japonica cultivars she purchased are still thriving in this garden. ‘Purity’ (‘Shiragiku) was imported by Domoto in the 1930s. It has a white medium rose form to formal double bloom. ‘Herme’ (Hikaru-Genji) was imported from Japan to Sacramento, California in 1875. It has a beautiful medium loose peony flower with pink petals streaked pink all edged in white. As part of the gardens heritage plant project, the garden has located and purchased seven more heritage camellia japonicas such as ‘Grandiflora Rosea’, ‘Alba Plena’, and one Camellia sasanqua ‘Apple Blossom’. The camellia collection now include species and modern cultivars. 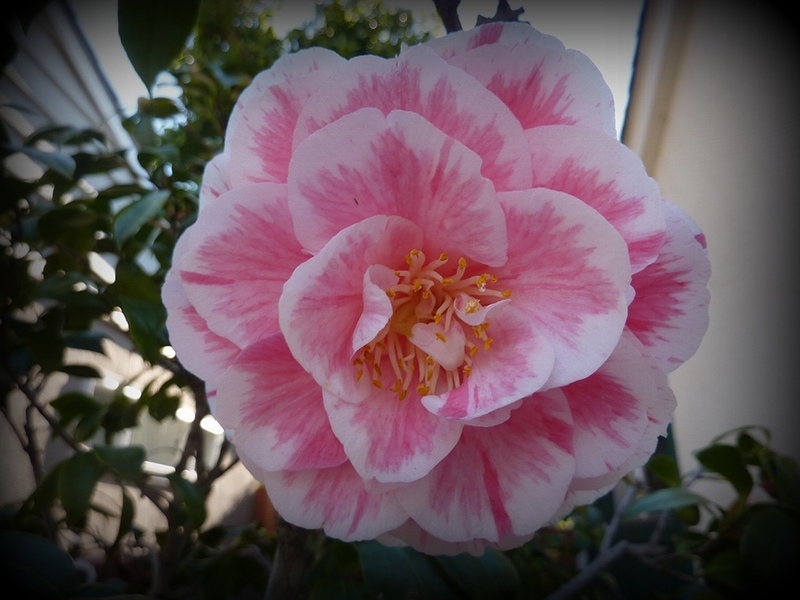 As camellia enthusiast we were pleased to see these historic camellias. However, there is much for any garden lover to enjoy besides camellias. It is an attractive, well maintained example of an early twentieth-century California garden.